Recently, I came across a derogatory blog about Mahatma Gandhi. One of the things it pointed out was that he drank his own urine. It is interesting to note how unethical people can twist facts for their own purpose. 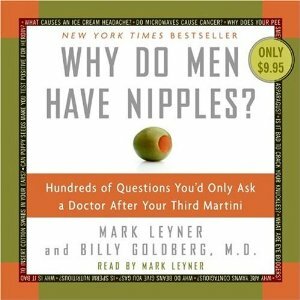 I just discovered a book written by doctor Billy Goldberg with Mark Leyner, and it says that amaroli (urine therapy) is an important technique in yoga practice. And the Chinese Association of Urine Therapy says that urine is sterile, antiseptic and nontoxic. I have to admit that I am sticking to orange juice for the time being. But I will keep in mind that urine properly prescribed can be used to treat cancer and other illnesses. And you can certainly clean a wound with it if nothing else is available; it contains hormones and enzymes but no viruses or bacteria. It’s the ultimate form of recycling minerals. I hear you Lou! But it is good to keep it in mind, just in case. Funny. In Russia I have heard of urine therapy. Sound odd, but makes sense. Thanks for the info Elena. I guess is more common than I thought. Ha, ha, ha. Thank you Rio. I love your wonderful caring comments, thank you for that. I could not have helped but to laugh, as we have just talked about amaroli here, and no more than a week later you actually letting me know that it in fact be an option for me to consider. Thankfully my doctor ruled out lupus, after another doctor jumped to a rushed conclusion. But having believed that i may in fact have it, even for only few days have made a big impact – provided a lesson. You are welcome Elena. Glad to hear the good news. Take care! Thanks for your input Corve. I am putting your link right here: http://corvedacosta.com/2010/07/29/your-urine-therapy-for-your-skin/ I am going to try your technique myself. Take care and keep in touch.